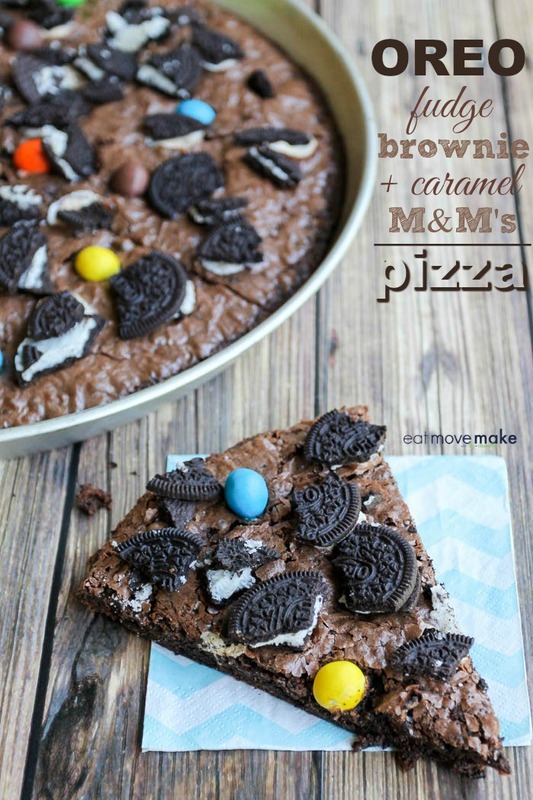 Oreo Brownie Pizza - A Fudge, Caramel and Cookie Collision! You know when you put those three words together, it’s gonna be good, right? I mean, how could it not be? And there’s something about eating a brownie (or anything) in the shape of a pizza wedge that makes it fun. 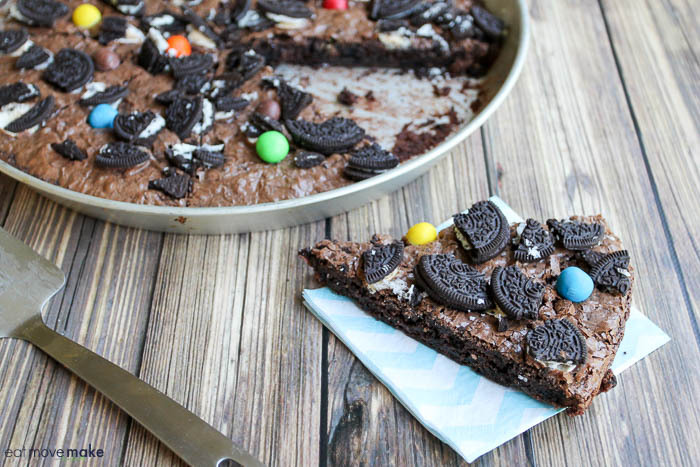 Plus, you can customize your Oreo brownie pizza with all the things you love. Start by crushing 2/3 of a package of Oreo cookies in a food processor or you can crush them with a rolling pin in a heavy-duty plastic bag. I admit it hurts my heart a little bit to crush Oreos into smithereens, but it needs to be done. Then mix up the batter for your favorite fudge brownie mix and stir in all those crushed cookies. Bake! In the last few minutes, you’ll sprinkle on the remaining cookies (broken into chunks), some mini marshmallows and the new caramel M&M’s. Or you can add the things that make your tummy happy. But just so you know, the caramel in the M&M’s is the chewy kind, not the runny kind. Ain’t nobody got time for the runs. 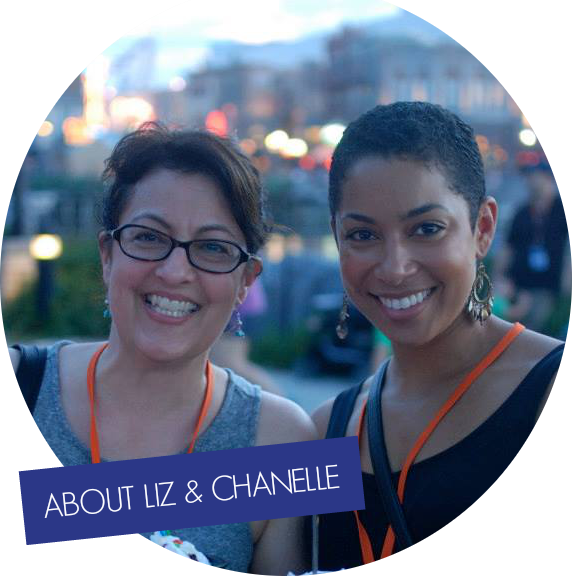 This girl is all about the chewy caramel candies, and it took me several months to be willing to try them because I was afraid they’d be drippy. Whew, they’re not! Preheat oven to 350 degrees. Spray bottom of 12-inch round pizza pan with cooking spray. Set aside. Put 2/3 of cookies in food processer. Coarsely crush. Cut remaining cookies into small chunks. Prepare brownie mix according to package. Stir in crushed cookies. Bake 18 to 20 minutes or until edges have firmed. Sprinkle with marshmallows. Bake another 1-2 minutes until marshmallows are soft and puffy. Remove from oven and immediately sprinkle with cookie chunks and caramel M&M's. Serve warm. Use a pizza cutter to slice your Oreo brownie pizza into wedges. I made eight big slices, but you could easily cut it into smaller pieces for lunchbox treats and after school snacks. 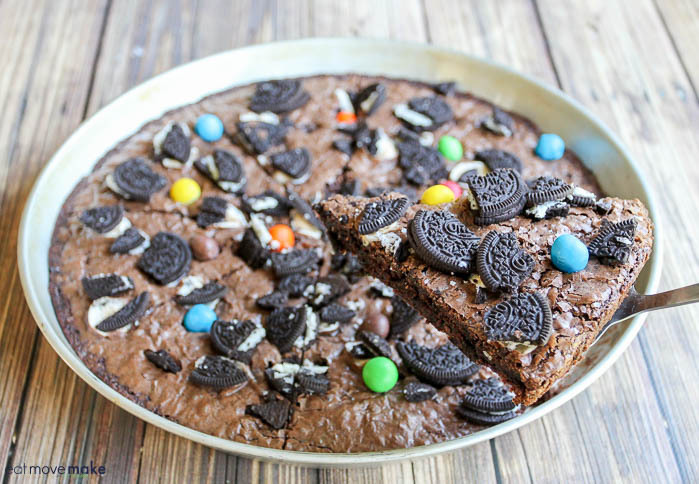 Enjoy your Oreo brownie pizza! OMgeee! This recipe and all it’s glory is Featured at Merry Monday this week! Sharing all over the social world to spread the goodness! My mind is blown. An oreo pizza i have officially seen it all! I would love to eat this! Oh yum this looks amazing! Sharing in FB & Twitter. Thank you for sharing on Merry Monday! Hope to see ya next week! Goodness gracious – That looks super yummy! My kids would totally love this. I have to admit – I would too!! I just might create this sometime this weekend for them! This looks so freaking good, and sinful. I want it now. I can see how crushing them would be hard on the heart, lol. This pizza sounds very rich, and very delicious. This looks amazing. My son is going to love it. Two of his favorite things are Oreos and brownies. YUM!! My girls would love to make this, so fun and simple!!! ..Mmm..with a scoop of vanilla ice cream… 😛 Looks very good! This sounds amazing! Oreos, brownies, and m&ms are some of my favorite things so it kind of makes sense to put them all together. You just can’t go wrong with a good brownie recipe! The addition of oreos is genius. Just a new layer of chocolate. YUM. This looks amazing! Oreos are a favorite in our house! I think this my kids dream come true! I’m making this for the next sleepover! Oh, my you had me at OREO but then to add brownie, caramel, and M&M and I was like in heaven. This is my kind of dessert. totally making this for my son’s band party. 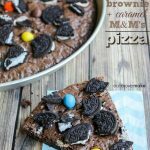 A brownie pizza sounds like a lovely treat for the kids! I think they’re going to enjoy this so much! Lol. I can imagine the smiles on their faces when they see this. Thanks for the lovely idea! I can’t wait to make this for them. I saw this on Pinterest and was in heaven! My kids would love it but I might have to make it and hide if from them. OMG! I’m totally going to make this for a party this weekend. Yum!!!! Oh my goodness does this look amazing! I love brownies, so loading them up with goodies makes this even better! Yummo! This looks incredibly tasty! 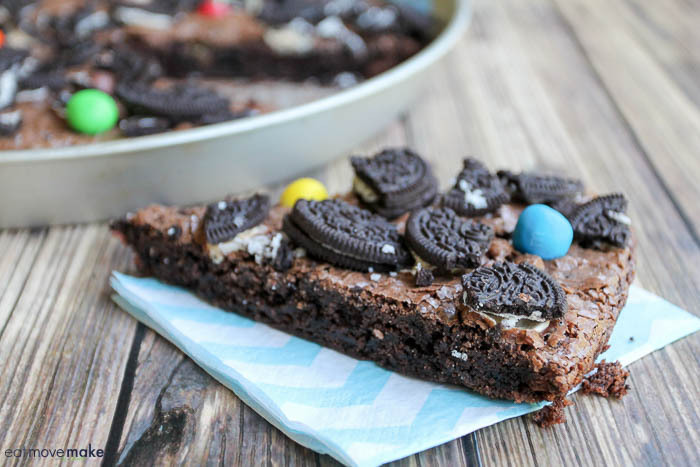 I love Oreo cookies and brownies, and this looks like the best of both worlds. I can’t wait to try this recipe! This looks like the perfect dessert. It pretty much combines all my favorite sweets into one. On the day I decide to start a Keto diet you post this. Thanks a lot! LOL THIS kinda dessert is my weakness. It looks amazing! I look forward to trying this and so will my daughter. The ingredients alone are simply scrumptious. This looks absolutely divine. My family would have this devoured in no time. I may have to make two. I love that this is easy to make using a brownie mix. I also love that you used two of my favorite things, Oreo’s and M & M’s. The yumminess of this recipe is just TOO fantastic!!! I made brownies yesterday, but clearly I need to up my game to this fabulous option!!! This looks like the perfect dish to take to the church pot luck. I know for a fact that the plate is going to come back licked clean! That is FULLY awesome. The only thing that could make that better is a big glass of ice cold milk. Om nom nom. That is one delicious looking dessert! Nothing could be better than a brownie topped with Oreos! This looks AMAZING! I think we need to make this for our little party we are having this weekend! This looks so yummy. My kids would go nuts over this! Oh my God I am drooling over here. That sounds absolutely amazing. My kids would love it too.